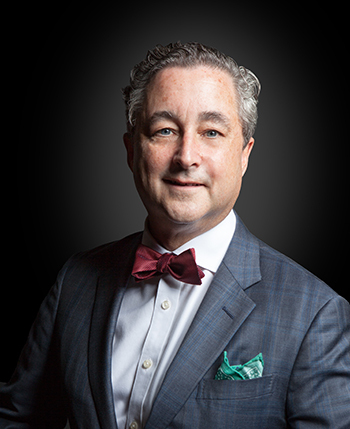 This spring, Raymond Dowd ’91 won a landmark New York State Supreme Court judgment to have two impressionist artworks stolen by the Nazis from Austrian Jewish cabaret artist Fritz Grünbaum returned to Grϋnbaum’s heirs. While the return of two Egon Schiele drawings represented a notable victory for the heirs, subsequent months have revealed just how reluctant the art world—particularly dealers and museums in Europe and the governments that support them—is to correct grievous historical and present-day wrongs, Dowd said recently. 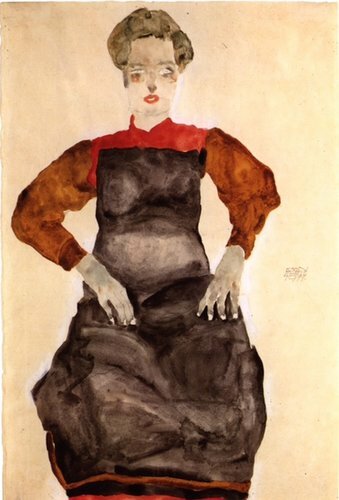 Dowd assisted the Grünbaum heirs’ recovery of two Schiele drawings—Woman in a Black Pinafore (1911) and Woman Hiding Her Face (1912)—using the Holocaust Expropriated Art Recovery (HEAR) Act. Dowd argued successfully before the Hon. Charles J. Ramos in April that HEAR, passed by Congress in 2016 to ease the statute of limitations restrictions on art stolen during WWII, should be applied to his clients’ claims. Ramos ordered the drawings returned to the heirs of Grünbaum, who died in a Dachau concentration camp in 1941. Still, more than 400 pieces from Grünbaum’s original collection remain missing, some deliberately so. Months after Judge Ramos’ ruling, the German Lost Art Foundation, which has compiled a list of art likely looted by the Nazis, removed from its database 63 Schiele pieces—works the Grünbaum heirs believe were stolen from him—at the request of Swiss and English art dealers. 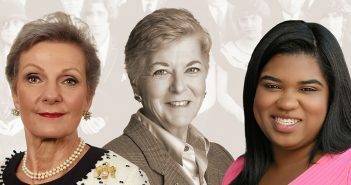 This removal strikes a particularly horrific note given Hitler’s stated Holocaust goal of erasing the Jewish people from the planet, added Dowd, a partner at Dunnington, Bartholow & Miller LLP in New York City and a Fordham Law adjunct professor. Dowd will present “From Murder to Museums: Current Controversies in Nazi-Looted Art” on Monday, Nov. 19, at the new Fordham London Centre, 150 Clerkenwell Road, EC1R 5DG. His speech will provide an overview of art theft during WWII, explain how the sale of stolen art helped bankroll Nazi efforts, and discuss the extent to which recent laws have been successful in securing the return of stolen art to its rightful owners. Schiele drawing Seated Woman With Bent Left Leg (Torso), reunited with its heirs. Dowd’s work took a fortuitous turn in 2015 when the heirs spotted two Schiele drawings—the same two later involved in the New York State Supreme Court case—at the Park Avenue Armory. A year later, Congress’s HEAR Act confirmed the timeliness of the Grünbaum heir’s claims. Earlier this year in the New York Times, Dowd estimated the two Schiele drawings at the heart of the New York Supreme Court ruling to be valued together at roughly $5 million. According to Dowd, critics have accused Grunbaum’s heirs of greed, citing the high value of the artwork. Dowd counters that the accusations of greed are simply an anti-Semitic slur. The attorney pointed out that most of the proceeds from a planned auction at Christie’s are destined for a charitable foundation for Fritz Grünbaum’s memory. Dowd plans to be in Berlin Nov. 26–28 to attend the German Lost Art Foundation’s 20th anniversary of the Washington Principles on Nazi-Confiscated Art. 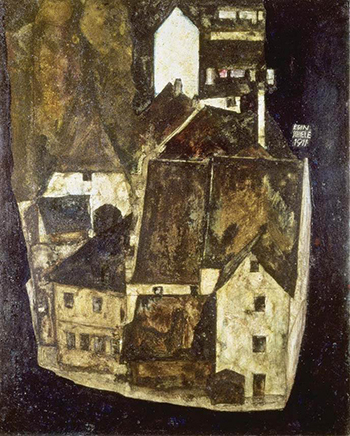 His presence there will be to “confront the foundation and to stop the conference from being a propaganda exercise.” He expressed dismay that the Grünbaum heirs still have not received Schiele’s Dead City III (1911), and that the German government has effectively blocked restitution attempts. “If this conference is all about museums hanging on to masterpieces, then it won’t be a positive exercise in Berlin,” he added. Days before the Berlin conference, Dowd will address the need for American leadership in returning Nazi-looted art to rightful heirs during his speech at Fordham London Centre. He will urge American museums to research their collections and confront the fact that over the past eight decades they have received stolen property. Such actions represent the only way to shame other countries, such as Germany, Russia, and Great Britain, into taking steps to correct this ongoing injustice. “If U.S. museums start showing moral leadership, we’ll see history rewritten in a powerful way,” Dowd said.